This durable retractable safety knife utilizes the same design as our popular Medoc Safety Knife but the knife head and blade guide are made of Zamak, a high strength metal alloy. 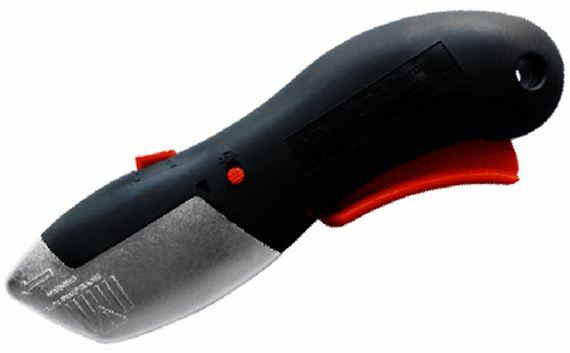 A natural gripping motion replaces the awkward thumb button of many other safety knives to extend the blade and when cutting pressure is removed, the blade automatically retracts. This ergonomic design is great for both left and right handed users. A variety of blades are available for multiple uses including razor, serrated, stainless steel and rounded edge blades. Prevents cuts when the safety knife slips off the package.